Now more than perhaps ever before the World needs to rally together to face the terrifying issues of the moment. Our whole economic paradigm seems to be collapsing, responding to climate and economic crises is no quick fix, it will take a bold new vision of our collective objectives and strategies. Liberal democracy seems to have been fatally hi jacked by corporate power, banks and oligarchs putting humanity on a collision course with reality. 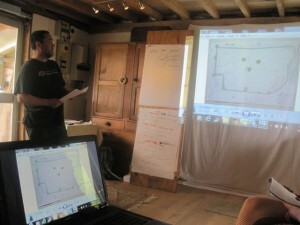 I strongly believe permaculture design has a very big part to play in how we address these issues in a coherent way. As our work at sector39 continues to reach a broader and broader audience and brings us into contact with more diverse audiences I can that this potential continues to grow. Nobody can articulate the enormity of the challenge we face better than Chomsky and here he is a recent interview that really demands our attention. Here is a current scientific overview and presentation on the scale of the challenge we face. If humans caused it then surely we can solve it? Well if you listen the presentation above you realize that although this is a correct assertion the clock is ticking and that will not be true for long. This is big, really big. The 195 countries who signed the Paris Climate Agreement in December have now ratified the treaty. Trump or Clinton, Brexit: hard or soft, Syria and a potential WW3, we might be forgiven for being a little distracted but this is the big story. Governments have agreed, we need to listen to the scientists, we really do have to stay under 2 degrees of change but there is no policy in place that gets us there. The agreement they signed has no binding targets or penalties, it is basically a statement of intent that has no teeth. How fast can we get off coal, gas and oil? We have about 30 years to move completely away from our old ways and that allows no wiggle room whatsoever, sooner would be better. So where will this momentous change come from? Even though they happily signed the agreement many governments including our own are not formulating policy that will get us to where we need to be, they are still building roads, talking about fracking, planning new runways and hoping to restart economic growth in the consumer economy. No, this change will come form the bottom up, the emerging generation will be leading the way. It is much easier to see past the oil age when you are not personally invested in it. Just as we found in Uganda when we were teaching there in May, the idea of localised organic food systems, distributed solar power networks and public transit doesn’t alarm them, since they have that already and it works fine. Whereas we built a commuter economy out of coal, with disconnected nuclear families and rampant consumerism as if that was an end in itself. All this assumed the oil would never run out and burning it had no consequences, inpite of what we know we are still desperately trying to keep growth going because our economic models require it of us. It is going to be a big ask for the UK to make the changes required of it. The train that is the neo-liberal market based consumer economy has left the station never to return. For the emerging generation that isn’t going to be their future, they missed that opportunity so they are going to have to invent a new one for themselves. We might not know much about the future but I am guessing it is going to be low carbon and almost exclusively local. This is not bad news, especially not to the ears of someone who will never have a pension plan paid by North Sea Oil. The post carbon economy is a land of opportunity, like the Wild West seemed to those intrepid settlers 200 odd years ago or when they first invented the internet, it is a vast un-occupied space waiting for a new generation to inhabit it. With this bold project we are looking for the leaders who are going to help create a new vision for a post carbon society. The future is there for us to invent. Sector39 have won potentially 3 year’s funding, in stages to help facilitate the development of that vision. 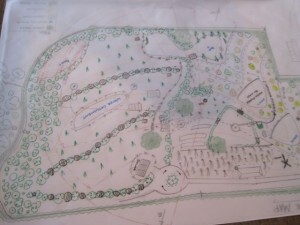 Using permaculture design we are going to challenge the high school to lead the community at large to lay out our transition plan to a carbon negative economy. 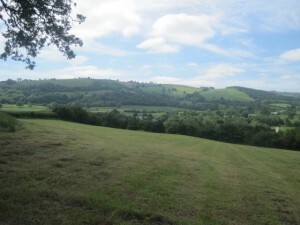 It is our future to create, no one else has a plan and in doing so I think we can inspire, we can put Llanfyllin on the map, along with Powys and Wales as leaders and partners in this great change we all have to make. This is open to all, centred on Llanfyllin High School we will be linking to schools across the UK and Africa, creating blogs, radio, newspapers, holding public talks and debates. From this we hope to be initiating new projects and micro enterprises and even a community currency. Help us chart these unknown waters. This is about working together, no one is telling anyone else what to do, rather we are required to build a common vision and action plan that fully takes into account what the science is telling us. Economy cannot exist out side of ecology, we have tried that and it has been a disaster of pollution, deforestation and species loss, together we can build an economy that restores the ecology of the planet and creates hope for a future that we all want to be part of. Join in, be a leader for change. Watch this space, lots more to come! Just how are we going to get ourselves out of this mess? The next 50 years are going to be one hell of a ride! That is the time lag between todays emissions and when we will feel their full impact on the climate system. Yes folks, even if we stop everything today we are still set for a very bumpy future. Today’s inactivity is tomorow’s nightmare. As much as we all know this to be true, each day we get up for work and repeat the actions that brought to this point. We all need to make a living it is true, yet the way most of us make our living is driving the climate problem. “Just because you are on a well beaten path doesnt mean you are on the right track”. Permaculture principle number 11 challenges us all to explore alternatives, to look to the edges for new opportunites and ideas. We cannot fix our problems using the thinking that created them and for that read: we need a new economic paradigm, we need a different rationale and a different set of goals. Consumption, short termism, economic growth for its own sake, waste, pollution, war, militarism, do you need me to go on… ? Yet we seemed locked in step in the march to our own self destruction. Today I am inspired by the Lakota people of the central plains. America’s original inhabitants who reverred nature as sacred, rivers, mountains, wildlife and more were regarded as true value and the loyalty of people, friendship, (apparently the meaning of the word Lakota is friend) the thing that binds us all together and creates common cause and society. Yet we have never treated these people as friends and still they are persecuted for standing up for all us in their battle against the ceaseless expansion of the oil industry. Across the globe there is a waking up of people realising the terrible truth of today’s society and economy, where everything other than profit is regarded as an externality, people, land, whole ecosystems even are seen as expendible. 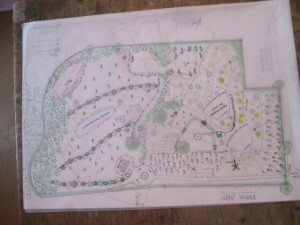 Permaculture is part of that wake up call, for those of us who have empathy with the natural world, permaculture is common sense, it is a guidebook and an inspiration. I am guessing many Lakota people don’t need to study permaculture, as their instincts steer them in that direction with their every thought yet for the rest of us it remains a pathway we are yet to choose. Each and everyone of us needs to think how they can break their reliance on the destructive economy and align themselves with the forces of positive change and we won’t be able to do it alone, we will need each other, we will need friends and allies, Lakota. I am writing this with a sense of dismay, I have had a couple of students drop out last minute from our upcoming PDC, work commitments etc. and of course I get that, we all have bills to pay. It takes months of planning and networking to build the momentum for a PDC, time is always precious and money a barrier but there’s always a way if we try. I am not out to critiscise anyone here, I do totally understand limitations, indeed working to limiting factors in central to permaculture design, but I do keep asking myself how do we create the changes we need in the time we have left? I would love to hear from people on this subject and certainly this is a theme we will be exploring through the Sector39 school project launching soon. I am not ready to give in yet, we can still head off the worst scenarios of run-away climate collapse yet each day and every decision we take at this critical time will affect the trajectory of that change and with that in mind I urge everyone to think again about their own role in this rapidly unfolding drama. We were extremely lucky to have Andrew, an ex journalist and great communicator who is now developing a new careeer as a bamboo expert and nurseryman. 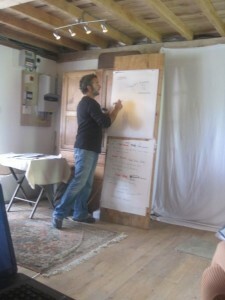 On the recent 2 week course he presented this excellent lecture on the subject. Forgive all the background noises, the narrative is compelling as he develops his main indeas. I am am keen to publish as many oututs of the PDC as possible, to create a resource for students present and future. 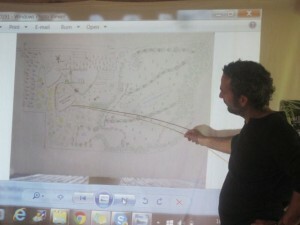 These are early attempts at creating new accessible permaculture teaching resources from very limited means. 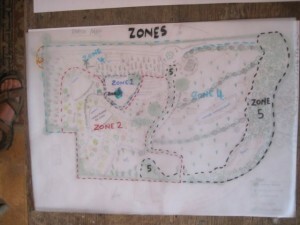 The image is from permaculture Timor Leste manual for tropical permaculture, which was a major inspiration for us on this course. The changes we face are essentially inevitable, as cheap sources of energy expire and climate change accelerates we are all faced, with an increasing urgency with the need for meaningful collective action. To get out of the mess we have created we are required to think differently, which asks the question of how this might actually come about? How are we going to come up with a broad coalition of understanding let alone responses? Starting with Climate Change, none has framed the problem better than Naomi Klein in her book This Changes Everything, soon to be released as a film as well. Our collective addiction to fossil fuels underpins the crisis of our times, as we are not only destroying the atmosphere but fuelling resource wars at the same time. Here is one of the sanest, clearest and best informed voices on the subject. Climate Change is not per se the problem we face, it is actually the symptom of a much bigger problem one of social justice and with that comes not only a much bigger challenge, but the opportunity of a much bigger reward, a transformation of society at large. The next item is short and is the trailer to the This Changes Everything documentary/ movie. I sincerely hope that the film has the desired impact as we are in dire need of cleared focussed reasoning when there are so many conflicting voices out there. Climate Change really does change everything and once we have fully taken that on board we collectively need to realise that carbon reduction and sequestration is set to become the key driver for all our future activities. It calls into question our whole economic model, the very idea of a growth led economy as well as our dependence on extractive processes to source the energy and materials we need. This is very short and on a different tack than those above. This is a new children’s book, penned by Professor Chris Rhodes, someone acutely aware of peak oil, climate change and the challenges of the 21st century and wanted to created a narrative for children infused with co-operative values and sensibilities. Baring in mind the next generation is going to be challenged in all sorts of ways as yet un-anticipated by the changing world, their abilities to work together to solve problems are likely to be paramount. Personally, the whole idea of Hippy the Happy Hippo begs the question of are we preparing the next generation for what is coming, or for what has passed by already? At heart of what we must reform is our very notion of how we make decisions, how we allocate resources and by that I mean our whole economic paradigm. Can capitalism be reformed? Well here are two people who think it can and must be a big part of the answer. Ha Joon Chang, economists and academic and Yanis Veroufakis, former Greek finance minister, academic are a couple a clear and insightful voice on the troubles of capital, the Euro zone and wider. No matter how we reform and dissect our economic theory one thing that is also certain, the only system that is going to work for us in the longer term is one that values the natural world and accepts that we are merely part of it and there is no benefit to be had from its continual erosion an ultimate destruction..
Permaculture is the answer! 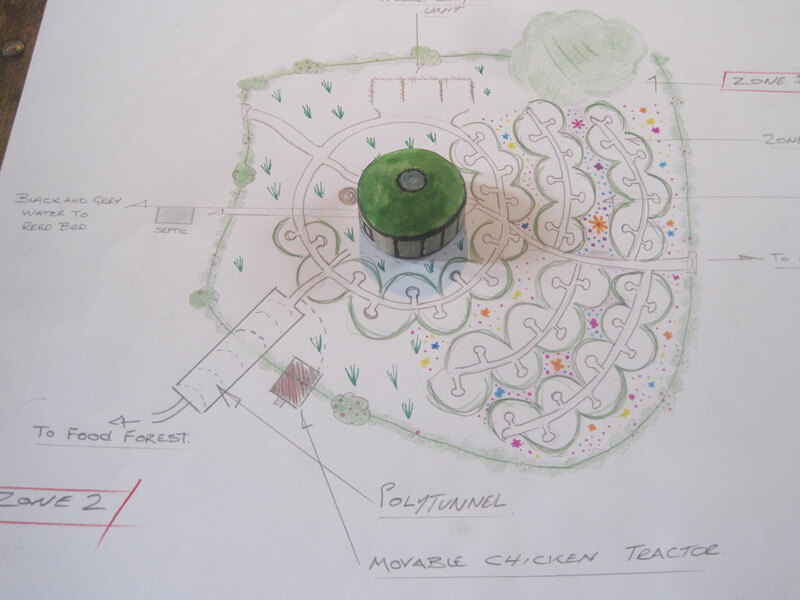 Of course there is no simple answer, permaculture is a process, a design template and an ethical framework that steers us towards long term sustainable practices. We won’t get there in an instant and getting there will be an on-going, gradual and open ended process. 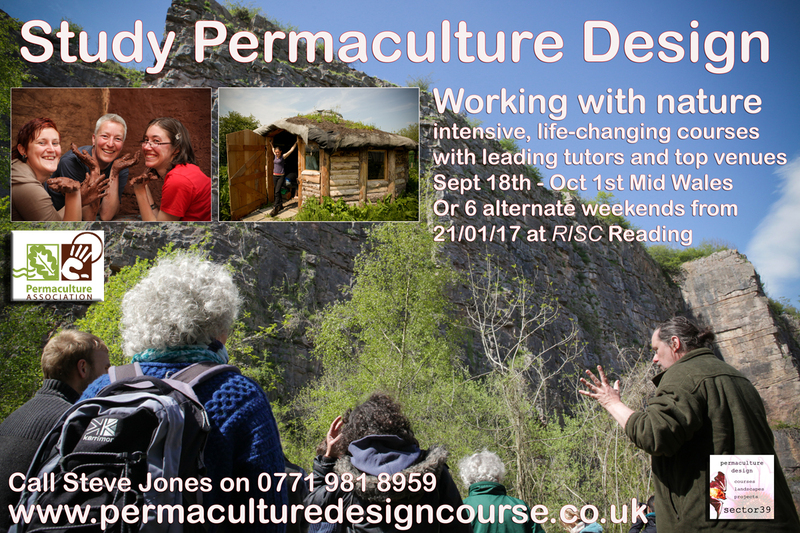 This 2 videos below give an insight into permaculture practice in two very different examples and locations. Among other things this demonstrates permaculture’s adaptability and the many possibilities it presents for economic and ecological renewal. Fixing the climate thing comes packaged with re-energised communities, actively engaged in developing a mutually beneficial and ecologically concious relationship with a living biosphere. Climate Change really does change everything. It will usher in a much more decentralised, multi-polar world. A low carbon economy is also a low energy economy and our ability to travel freely and eat out of season will be significantly curtailed. Much of the infrastructure we have built will not be fit for purpose and will have to be re-imagined and re-engineered. 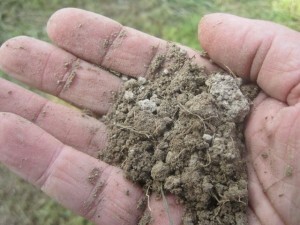 Community led and localised strategies for resource cycling, energy, food and more will become significant parts of the new economy as we will fuse high technology and materials science with the age old technologies of mud, sticks and straw, hemp, lime and clay. I see a high tech./ low tech. future, one full of invention and re-invention and for that to be possible we need to unleash our collective creative power and nowhere more importantly should this be happening than in our schools and colleges right now. 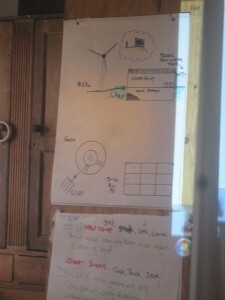 With this is mind Sector39 are working with local partners to develop a A level in Permaculture and to work with fellow educators to find ways to bring its core ideas into schools and to allow the creative unleashing to begin. And finally.. this short talk lays down the ultimate challenge for any budding designers out there..
‘Play time is over children’ Putin makes his most powerful speech yet. Play-time is over, children: Putin’s message to the Western elites is most important since Churchill’s ‘Iron Curtain’ speech of 1946 says Dimitry Orlov. Not sure this has had much coverage in the West but it seems to me that the climate change denying, neo-liberal fantasy of never neding warfare is over and it is time to come to the negotiating table. The US led dream of a new world order lies in tatters and there is now no system for global collective security. In a break with protocol Putin speaks directly to the world in a powerful and surely game changing speech at the Valdai conference in Sochi last week. 7. Russia does not wish for the chaos to spread, does not want war, and has no intention of starting one. However, today Russia sees the outbreak of global war as almost inevitable, is prepared for it, and is continuing to prepare for it. Russia does not war – nor does she fear it. 10. There is still a chance to construct a new world order that will avoid a world war. This new world order must of necessity include the United States – but can only do so on the same terms as everyone else: subject to international law and international agreements; refraining from all unilateral action; in full respect of the sovereignty of other nations. Here is a transcipt of the full speech. Vladimir Putin took part in the final plenary meeting of the Valdai International Discussion Club’s XI session. The meeting’s theme is The World Order: New Rules or a Game without Rules.This year, 108 experts, historians and political analysts from 25 countries, including 62 foreign participants, took part in the club’s work. The plenary meeting summed up the club’s work over the previous three days, which concentrated on analysing the factors eroding the current system of institutions and norms of international law. PRESIDENT OF RUSSIA VLADIMIR PUTIN: Colleagues, ladies and gentlemen, friends, it is a pleasure to welcome you to the XI meeting of the Valdai International Discussion Club. n organisation and content will bolster the club’s influence as a leading discussion and expert forum. At the same time, I hope the ‘Valdai spirit’ will remain – this free and open atmosphere and chance to express all manner of very different and frank opinions. Of course the sanctions are a hindrance. They are trying to hurt us through these sanctions, block our development and push us into political, economic and cultural isolation, force us into backwardness in other words. But let me say yet again that the world is a very different place today. We have no intention of shutting ourselves off from anyone and choosing some kind of closed development road, trying to live in autarky. We are always open to dialogue, including on normalising our economic and political relations. We are counting here on the pragmatic approach and position of business communities in the leading countries. VLADIMIR PUTIN (commenting on statements by former Prime Minister of France Dominique de Villepin and former Federal Chancellor of Austria Wolfgang Schuessel): I would like to begin by saying that overall I agree with what both Wolfgang and Dominique have said. I fully support everything they said. However, there are a few things I would like to clarify. I believe Dominique referred to the Ukrainian crisis as the reason for the deterioration in international relations. Naturally, this crisis is a cause, but this is not the principal cause. The crisis in Ukraine is itself a result of a misbalance in international relations. I have already said in my address why this is happening, and my colleagues have already mentioned it. I can add to this, if necessary. However, primarily this is the outcome of the misbalance in international relations. As for the issues mentioned by Wolfgang, we will get back to them: we will talk about the elections, if necessary, and about the supply of energy resources to Ukraine and Europe. Though it does seem that optimists have a better time, our common goal is to live a decent life (without overindulging in alcohol). For this purpose, we need to avoid crises, together handle all challenges and threats and build such relations on the global arena that would help us reach these goals. Later I will be ready to respond to some of the other things mentioned here. Thank you. BRITISH JOURNALIST SEUMAS MILNE (retranslated from Russian): I would like to ask a two-in-one question. First, Mr President, do you believe that the actions of Russia in Ukraine and Crimea over the past months were a reaction to rules being broken and are an example of state management without rules? And the other question is: does Russia see these global violations of rules as a signal for changing its position? It has been said here lately that Russia cannot lead in the existing global situation; however, it is demonstrating the qualities of a leader. How would you respond to this? VLADIMIR PUTIN: I would like to ask you to reword the second part of your question, please. What exactly is your second question? SEUMAS MILNE (retranslated from Russian): It has been said here that Russia cannot strive for leading positions in the world considering the outcomes of the Soviet Union’s collapse, however it can influence who the leader will be. Is it possible that Russia would alter its position, change its focus, as you mentioned, regarding the Middle East and the issues connected with Iran’s nuclear program me? VLADIMIR PUTIN: Russia has never altered its position. We are a country with a traditional focus on cooperation and search for joint solutions. This is first. Second. We do not have any claims to world leadership. The idea that Russia is seeking some sort of exclusivity is false; I said so in my address. We are not demanding a place under the sun; we are simply proceeding from the premise that all participants in international relations should respect each other’s interests. We are ready to respect the interests of our partners, but we expect the same respect for our interests. We did not change our attitude to the situation in the Middle East, to the Iranian nuclear programme, to the North Korean conflict, to fighting terrorism and crime in general, as well as drug trafficking. We never changed any of our priorities even under the pressure of unfriendly actions on the part of our western partners, who are lead, very obviously in this case, by the United States. We did not even change the terms of the sanctions. However, here too everything has its limits. I proceed from the idea that it might be possible that external circumstances can force us to alter some of our positions, but so far there have not been any extreme situations of this kind and we have no intention of changing anything. That is the first point. The second point has to do with our actions in Crimea. I have spoken about this on numerous occasions, but if necessary, I can repeat it. This is Part 2 of Article 1 of the United Nations’ Charter – the right of nations to self-determination. It has all been written down, and not simply as the right to self-determination, but as the goal of the united nations. Read the article carefully. I do not understand why people living in Crimea do not have this right, just like the people living in, say, Kosovo. This was also mentioned here. Why is it that in one case white is white, while in another the same is called black? We will never agree with this nonsense. That is one thing. The other very important thing is something nobody mentions, so I would like to draw attention to it. What happened in Crimea? First, there was this anti-state overthrow in Kiev. Whatever anyone may say, I find this obvious – there was an armed seizure of power. In many parts of the world, people welcomed this, not realising what this could lead to, while in some regions people were frightened that power was seized by extremists, by nationalists and right-wingers including neo-Nazis. People feared for their future and for their families and reacted accordingly. In Crimea, people held a referendum. I would like to draw your attention to this. It was not by chance that we in Russia stated that there was a referendum. The decision to hold the referendum was made by the legitimate authority of Crimea – its Parliament, elected a few years ago under Ukrainian law prior to all these grave events. This legitimate body of authority declared a referendum, and then based on its results, they adopted a declaration of independence, just as Kosovo did, and turned to the Russian Federation with a request to accept Crimea into the Russian state. You know, whatever anyone may say and no matter how hard they try to dig something up, this would be very difficult, considering the language of the United Nations court ruling, which clearly states (as applied to the Kosovo precedent) that the decision on self-determination does not require the approval of the supreme authority of a country. In this connection I always recall what the sages of the past said. You may remember the wonderful saying: Whatever Jupiter is allowed, the Ox is not. We cannot agree with such an approach. The ox may not be allowed something, but the bear will not even bother to ask permission. Here we consider it the master of the taiga, and I know for sure that it does not intend to move to any other climatic zones – it will not be comfortable there. However, it will not let anyone have its taiga either. I believe this is clear. What are the problems of the present-day world order? Let us be frank about it, we are all experts here. We talk and talk, we are like diplomats. What happened in the world? There used to be a bipolar system. The Soviet Union collapsed, the power called the Soviet Union ceased to exist. All the rules governing international relations after World War II were designed for a bipolar world. True, the Soviet Union was referred to as ‘the Upper Volta with missiles’. Maybe so, and there were loads of missiles. Besides, we had such brilliant politicians like Nikita Khrushchev, who hammered the desk with his shoe at the UN. And the whole world, primarily the United States, and NATO thought: this Nikita is best left alone, he might just go and fire a missile, they have lots of them, we should better show some respect for them. Now that the Soviet Union is gone, what is the situation and what are the temptations? There is no need to take into account Russia’s views, it is very dependent, it has gone through transformation during the collapse of the Soviet Union, and we can do whatever we like, disregarding all rules and regulations. This is exactly what is happening. Dominique here mentioned Iraq, Libya, Afghanistan and Yugoslavia before that. Was this really all handled within the framework of international law? Do not tell us those fairy-tales. This means that some can ignore everything, while we cannot protect the interests of the Russian-speaking and Russian population of Crimea. This will not happen. I would like everyone to understand this. We need to get rid of this temptation and attempts to arrange the world to one’s liking, and to create a balanced system of interests and relations that has long been prescribed in the world, we only have to show some respect. As I have already said, we understand that the world has changed, and we are ready to take heed of it and adjust this system accordingly, but we will never allow anyone to completely ignore our interests. Does Russia aim for any leading role? We don’t need to be a superpower; this would only be an extra load for us. I have already mentioned the taiga: it is immense, illimitable, and just to develop our territories we need plenty of time, energy and resources. We have no need of getting involved in things, of ordering others around, but we want others to stay out of our affairs as well and to stop pretending they rule the world. That is all. If there is an area where Russia could be a leader – it is in asserting the norms of international law. QUESTION: The peaceful process between the Palestinians and Israelis has completely collapsed. The United States never let the quartet work properly. At the same time, the growth of illegal Israeli settlements on the occupied territories renders impossible the creation of a Palestinian state. We have recently witnessed a very severe attack on the Gaza Strip. What is Russia’s attitude to this tense situation in the Middle East? And what do you think of the developments in Syria? One remark for Mr Villepin as well. You spoke of humiliation. What can be more humiliating than the occupation that Palestine has been experiencing all these years? VLADIMIR PUTIN: Regarding Palestine and the Israeli conflict. It is easy for me to speak about this because, first, I have to say and I believe everyone can see that our relations with Israel have transformed seriously in the past decade. I am referring to the fact that a large number of people from the former Soviet Union live in Israel and we cannot remain indifferent to their fate. At the same time, we have traditional relations with the Arab world, specifically with Palestine. Moreover, the Soviet Union, and Russia is its legal successor, has recognised Palestinian statehood. We are not changing anything here. Finally, regarding the settlements. We share the views of the main participants in international relations. We consider this a mistake. I have already said this to our Israeli partners. I believe this is an obstacle to normal relations and I strongly expect that the practice itself will be stopped and the entire process of a peaceful settlement will return to its legal course based on agreement. We proceed from the fact that that Middle East conflict is one of the primary causes of destabilisation not only in the region, but also in the world at large. Humiliation of any people living in the area, or anywhere else in the world is clearly a source of destabilisation and should be done away with. Naturally, this should be done using such means and measures that would be acceptable for all the participants in the process and for all those living in the area. This is a very complicated process, but Russia is ready to use every means it has for this settlement, including its good relations with the parties to this conflict. DIRECTOR, KIEV CENTER FOR POLITICAL AND CONFLICT STUDIES MIKHAIL POGREBINSKY: Mr President, I have come from Ukraine. For the first time in 70 years, it is going through very hard times. My question has to do with the possibility of a settlement. In this connection, I would like to go back in history. You mentioned that there was a moment when a trilateral format was under consideration: Russia-Ukraine-Europe. Back then, Europe did not agree to it, after which a series of tragic events took place, including the loss of Crimea, the death of thousands of people and so forth. Recently, Europe together with Ukraine and Russia agreed that this format is possible after all; moreover, a corresponding resolution was passed. At that moment, there was hope that Russia together with Europe and Ukraine would manage to reach agreement and could become the restorer of peace in Ukraine. What happened next? What happened between Moscow and Brussels, Moscow and Berlin – because now the situation seems completely insane? It is unclear what this might lead to. What do you think happened to Europe? VLADIMIR PUTIN: You know, what happened can be described as nothing happened. Agreements were reached, but neither side complied with them in full. However, full compliance by both sides might be impossible. For instance, Ukrainian army units were supposed to leave certain locations where they were stationed prior to the Minsk agreements, while the militia army was supposed to leave certain settlements they were holding prior to these agreements. However, neither is the Ukrainian army withdrawing from the locations they should leave, nor is the militia army withdrawing from the settlements they have to move out of, referring, and I will be frank now – to the fact that their families remain there (I mean the militia) and they fear for their safety. Their families, their wives and children live there. This is a serious humanitarian factor. We are ready to make every effort to ensure the implementation of the Minsk agreements. I would like to take advantage of your question to stress Russia’s position: we are in favour of complete compliance with the Minsk agreements by both sides. What is the problem? In my view, the key problem is that we do not see the desire on the part of our partners in Kiev, primarily the authorities, to resolve the issue of relations with the country’s southeast peacefully, through negotiations. We keep seeing the same thing in various forms: suppression by force. It all began with Maidan, when they decided to suppress Yanukovych by force. They succeeded and raised this wave of nationalism and then it all transformed into some nationalistic battalions. When people in southeast Ukraine did not like it, they tried to elect their own bodies of government and management and they were arrested and taken to prison in Kiev at night. Then, when people saw this happening and took to arms, instead of stopping and finally resorting to peaceful dialogue, they sent troops there, with tanks and aircraft. Incidentally, the global community keeps silent, as if it does not see any of this, as if there is no such thing as ‘disproportionate use of force’. They suddenly forgot all about it. I remember all the frenzy around when we had a complicated situation in the Caucasus. I would hear one and the same thing every day. No more such words today, no more ‘disproportionate use of force’. And that’s while cluster bombs and even tactical weapons are being used. You see, under the circumstances, it is very difficult for us in Russia to arrange work with people in southeast Ukraine in a way that would induce them to fully comply with all the agreements. They keep saying that the authorities in Kiev do not fully comply with the agreements either. However, there is no other way. I would like to stress that we are for the full implementation of the agreements by both parties, and the most important thing I want to say – and I want everyone to hear that – if, God forbid, anyone is again tempted to use force for the final settlement of the situation in southeast Ukraine, this will bring the situation to a complete deadlock. In my view, there is still a chance to reach agreement. Yes, Wolfgang spoke about this, I understood him. He spoke of the upcoming elections in Ukraine and in the southeast of the country. We know it and we are constantly discussing it. Just this morning I had another discussion with the Chancellor of Germany about it. The Minsk agreements do stipulate that elections in the southeast should be held in coordination with Ukrainian legislation, not under Ukrainian law, but in coordination with it. This was done on purpose, because nobody in the southeast wants to hold elections in line with Ukrainian law. Why? How can this be done, when there is shooting every day, people get killed on both sides and they have to hold elections under Ukrainian law? The war should finally stop and the troops should be withdrawn. You see? Once this is achieved, we can start considering any kind of rapprochement or cooperation. Until this happens, it is hard to talk about anything else. You can argue over this any way you like. The most important thing is to immediately stop the war and move the troops away. If Ukraine wants to keep its territorial integrity, and this is something we want as well, they need to understand that there is no sense in holding on to some village or other – this is pointless. The idea is to stop the bloodshed and to start normal dialogue, to build relations based on this dialogue and restore at least some communication, primarily in the economy, and gradually other things will follow. I believe this is what should be achieved first and then we can move on. PROFESSOR OF POLITICAL SCIENCE, DIRECTOR OF THE CENTER FOR GOVERNANCE AND PUBLIC POLICY AT CARLETON UNIVERSITY (OTTAWA) PIOTR DUTKIEWICZ: Mr President, if I may I would like to go back to the issue of Crimea, because it is of key importance for both the East and the West. I would like to ask you to give us your picture of the events that lead to it, specifically why you made this decision. Was it possible to do things differently? How did you do it? There are important details – how Russia did it inside Crimea. Finally, how do you see the consequences of this decision for Russia, for Ukraine, for Europe and for the normative world order? I am asking this because I believe millions of people would like to hear your personal reconstruction of those events and of the way you made the decision. VLADIMIR PUTIN: I do not know how many times I spoke about this, but I will do it again. On February 21, Viktor Yanukovych signed the well-known documents with the opposition. Foreign ministers of three European countries signed their names under this agreement as guarantors of its implementation. In the evening of February 21, President Obama called me and we discussed these issues and how we would assist in the implementation of these agreements. Russia undertook certain obligations. I heard that my American colleague was also ready to undertake some obligations. This was the evening of the 21st. On the same day, President Yanukovych called me to say he signed the agreement, the situation had stabilized and he was going to a conference in Kharkov. I will not conceal the fact that I expressed my concern: how was it possible to leave the capital in this situation. He replied that he found it possible because there was the document signed with the opposition and guaranteed by foreign ministers of European countries. I will tell you more, I told him I was not sure everything would be fine, but it was for him to decide. He was the president, he knew the situation, and he knew better what to do. “In any case, I do not think you should withdraw the law enforcement forces from Kiev,” I told him. He said he understood. Then he left and gave orders to withdraw all the law enforcement troops from Kiev. Nice move, of course. We all know what happened in Kiev. On the following day, despite all our telephone conversations, despite the signatures of the foreign ministers, as soon as Yanukovych left Kiev his administration was taken over by force along with the government building. On the same day, they shot at the cortege of Ukraine’s Prosecutor General, wounding one of his security guards. Yanukovych called me and said he would like us to meet to talk it over. I agreed. Eventually we agreed to meet in Rostov because it was closer and he did not want to go too far. I was ready to fly to Rostov. However, it turned out he could not go even there. They were beginning to use force against him already, holding him at gunpoint. They were not quite sure where to go. I will not conceal it; we helped him move to Crimea, where he stayed for a few days. That was when Crimea was still part of Ukraine. However, the situation in Kiev was developing very rapidly and violently, we know what happened, though the broad public may not know – people were killed, they were burned alive there. They came into the office of the Party of Regions, seized the technical workers and killed them, burned them alive in the basement. Under those circumstances, there was no way he could return to Kiev. Everybody forgot about the agreements with the opposition signed by foreign ministers and about our telephone conversations. Yes, I will tell you frankly that he asked us to help him get to Russia, which we did. That was all. Seeing these developments, people in Crimea almost immediately took to arms and asked us for help in arranging the events they intended to hold. I will be frank; we used our Armed Forces to block Ukrainian units stationed in Crimea, but not to force anyone to take part in the elections. This is impossible, you are all grown people, and you understand it. How could we do it? Lead people to polling stations at gunpoint? People went to vote as if it were a celebration, everybody knows this, and they all voted, even the Crimean Tatars. There were fewer Crimean Tatars, but the overall vote was high. While the turnout in Crimea in general was about 96 or 94 percent, a smaller number of Crimean Tatars showed up. However 97 percent of them voted ‘yes’. Why? Because those who did not want it did not come to the polling stations, and those who did voted ‘yes’. I already spoke of the legal side of the matter. The Crimean Parliament met and voted in favour of the referendum. Here again, how could anyone say that several dozen people were dragged to parliament to vote? This never happened and it was impossible: if anyone did not want to vote they would get on a train or plane, or their car and be gone. They all came and voted for the referendum, and then the people came and voted in favour of joining Russia, that is all. How will this influence international relations? We can see what is happening; however if we refrain from using so-called double standards and accept that all people have equal rights, it would have no influence at all. We have to admit the right of those people to self-determination. Before we can “save the world” we have to save ourselves. Well we have to at least start with ourselves because that is the part of the universe we have the greatest control and influence over! 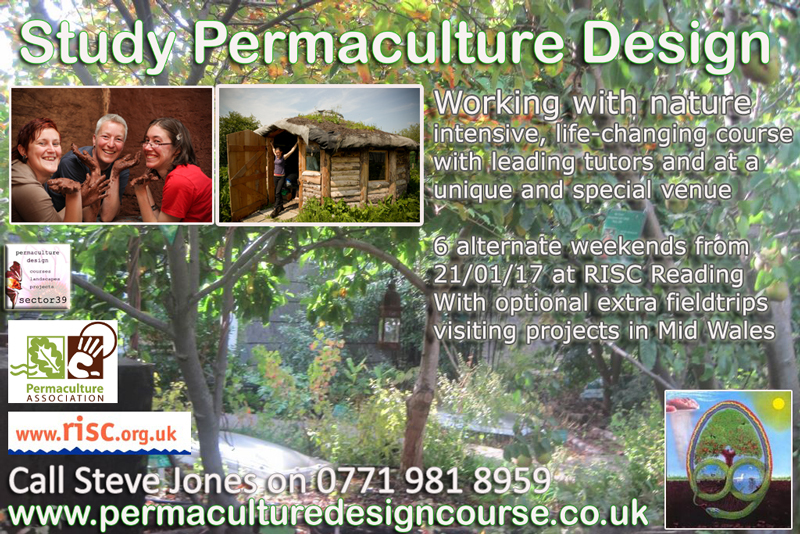 Led by Steve Jones from Sector 39, these 2 days, at RISC are designed to be the start of your permaculture journey. Packed with information, new ideas and rich with opportunity to develop your own thinking and personal goals. Sector39 is led by Steve Jones supported by a network of permaculture tutors, practitioners, artisans, community growers and activists. 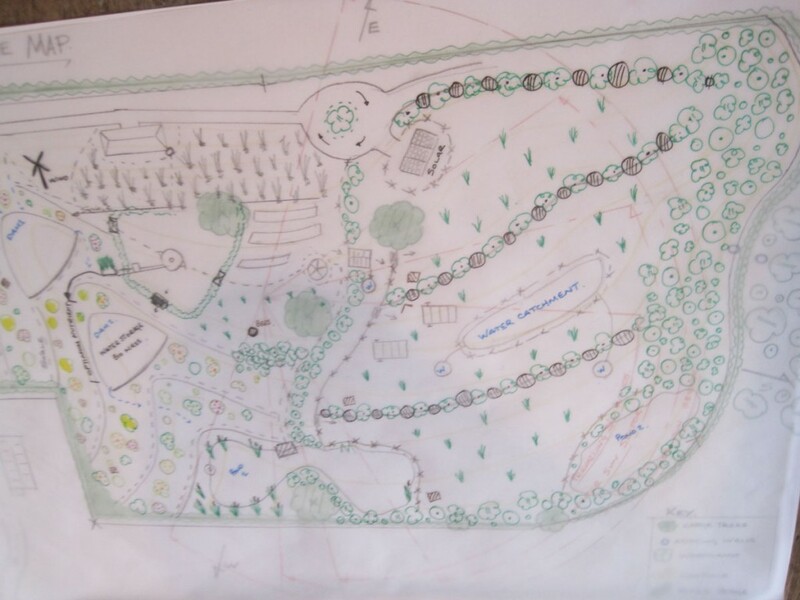 Together we have been working with permaculture designing landscapes, running educational courses and developing projects since 1995. 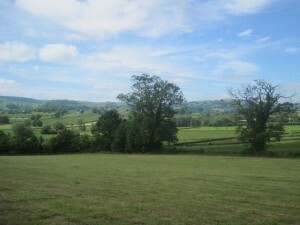 Sector39 is based in Mid Wales UK. 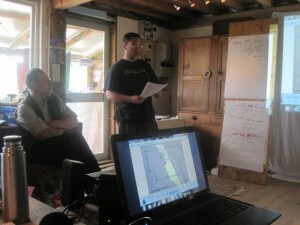 The following presentation was a final design exercise on our recent PDC in Llanidloes. See what happens when you put a soil expert with a small scale renewable energy systems guy and then put a sensitive yet bold Lithuanian woman in the middle. This was a truly fantastic presentation, realising the enormous potential of local site, picked out as one planet living, self build, 6 acre plot. The client, Simon had been fully consulted by the team, and indeed he had himself completed the PDC with Sector39 at the same venue last year. I suggest you play the audio (its 67 minutes long) but well worth listening to, and scroll through the photos and video to illustrate the design ideas. Shame we were not able to film it, but I hope the audio and pictures do it justice. Annoyingly I was timing the presentation with my phone, so there are clicks and pops of interference, I have taken loads out and cleaned it up a lot, sorry it is not perfect, but time didn’t allow any more. The client interview was recorded as we had limited transport available so one of the design team was unable to attend, they turned this limitation to an advantage with their design process. 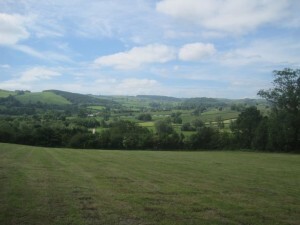 Its a six acre field so it hard to catch in one shot, but with vale of Kerry before you, it is a stunning location, and all looking south. 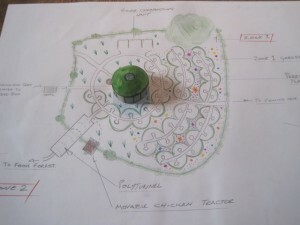 The Client’s vision is too think about three generations of family establishing an abundant, bio-diverse food and energy system, based on natural inputs only. 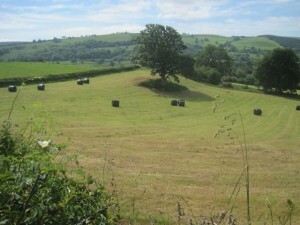 They imagine a roundhouse of straw and clay, and the ability to meet most of their own needs from the land whilst generating a small surplus for trade and community. The Site, is not owned nor is there planning permission, so on one level this is purely an academic exercise, although the client fully intends to develop something t these specifications on a site similar if not exactly this one. The design team worked really well as a team and also drew heavily on their own individual strengths and depth of knowledge. 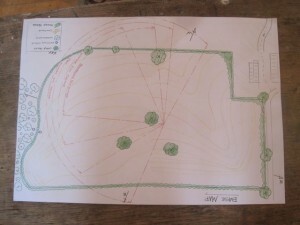 With their permission of course, I plan to use this as a teaching resource as it is such an excellent presentation in many ways, not least as it present holistic, wonderfully interconnected and longer term vision for the potential of this site and client family might be able to achieve. 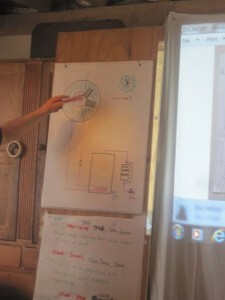 Being able to visualise and communicate vision of a sustainable future is a truly wonderful thing in the troubled times . This is where your food comes from. 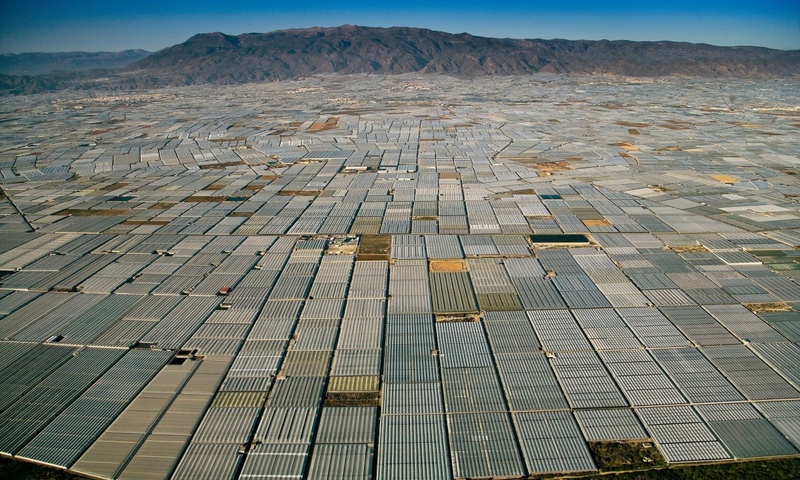 Much of our veg and salad is grown 2000km away in Spain, in an arid area. Much of the work is done by extremely low paid migrant labour from North Africa. Not exactly the most resilient way to feed the UK. 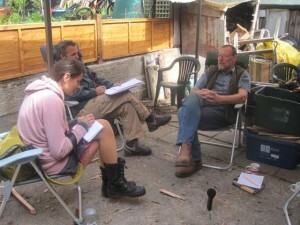 We talk to Ian Steel at Treflach farm, about setting up sustainable food businesses and to get a perspective on farming over the last 6 decades and his experience of hosting a series of Permaculture Design Courses with Sector39. We spend a little time pondering what would be in the Sector39 political manifesto, if it were to have one and we announce news of our latest exciting co-operative venture. Like Mr Matsumoto I just want to say something else before I start. Paris has seen to much grief recently. France has seen too much grief recently. Now you have lost ten more lives in a helicopter crash in Argentina. Young people, beautiful people. Ordinary people, but also heroes and role models like Florence Arthaud and Camille Muffat. In London we feel your grief. We stand with you. Life is fragile. Life hangs by a thread. Life is precious. One month ago, at the IP Week dinner in London, you gave a speech calling on your peers, as you put it in your title, to be “Less Aloof, More Assertive” on climate change. Given your prominence as CEO of Shell and the resurgence of interest in climate, your speech has rightly provoked debate. Perhaps I could set out some reflections that passed through my mind as I studied it. I feel privileged to be doing so from this platform. I hope the CFE family, and Jean Eudes [Moncomble, CFE Secretary General] particular, will see this as an appropriate way of honouring their invitation. Your speech, Mr van Beurden, was after all an appeal to your industry, which is strongly represented here today. Most of what I am about to say applies well beyond Shell. The title of your speech is intriguing. I have been involved in this debate for twenty years, six of them as the UK’s diplomatic envoy on climate change. During that time many adjectives have been applied to your industry – not always fairly. But nobody has ever accused you of being aloof. Yes, there have been more strident voices. You have spoken in measured terms, in prose not poetry, with the quiet confidence of those who know they never have to shout to be heard. And you have sometimes chosen to express yourselves behind closed doors, or through others, rather than out in the open. You have an undeniable interest in the choices society makes about climate change. But you have been sophisticated in pursuit of that interest, as you perceive it. From the start, nobody has been less aloof, more assertive, nor more influential than the oil and gas industry. For a leader in that industry now to express concern that it is not close enough to the climate debate sounds a bit, if you’ll forgive me, like a fish protesting that the ocean it swims through is not wet enough. The summary that accompanies the published text of your speech also catches the eye. It anticipates an “energy transition”. But it foresees no change “in the longer term” in the drivers of supply and demand for oil. And it urges the industry to “make its voice heard” at the COP21 climate conference. This would add “realism and practicality” to a conversation from which, by implication, these attributes are currently lacking. In other words, the energy transition to come will be an unusual kind of transition. It will have no structural consequences for the energy system itself, or at least for the markets on which your business model depends. But this prospect, your summary suggests, is in jeopardy. The unrealistic and impractical voices that currently dominate the climate debate want to use COP21 to unleash a more threatening kind of transition. To prevent this, the industry must overcome its habitual reticence and raise its voice. Engagement, with delusions of aloofness. Commitment, to a transition that ends where it began. Such cognitive dissonance suggests, even before we get to the text, that your speech may say more about the state of mind of your industry than the external conditions that prompted you to speak out. Those who have dedicated their lives and careers to your industry must sometimes feel your virtues go unacknowledged while the sins of the world are heaped at your door. The story of civilization is an energy story. Nobody has told it better than your colleague Frank Niele in his classic book on energy, which should be better known. The most gripping chapter of the energy story spans the last 150 years. That is your story, the story of oil and gas. As in any human endeavor, there have been episodes of frailty, venality and hubris. But so too have there been epic, even heroic deeds. From beneath soil and sea you have wrested oil and gas in unimagined abundance, often under technically challenging and physically dangerous conditions, never failing to meet the demands of energy-hungry societies. It would be only human if you were to reflect occasionally that without you, the prosperity enjoyed by billions, and aspired to by billions more, would not exist. Human beings would be living shorter, more difficult lives, exposed to more hazards, trapped within narrower limits of experience, opportunity, and imagination. And as your industry has grown to maturity, it has forged strong values, nowhere stronger than in Shell itself. You are rooted in reality. With so many physicists and engineers it could hardly be otherwise. While our political discourse descends ever further into a miasma of dogma, artifice, spectacle and celebrity, you have done your best to remain reality-based. This is surely a virtue. Nobody should think that words like “realism” and “practicality” issue casually from your lips. You have never recoiled from the future. You have striven to solve its puzzles and bend it to your purpose. I am a lapsed diplomat (and a lapsed physicist). From early in my career the Shell Scenarios were seen in the British Foreign Office as the pinnacle of their art, and their then impresario, Ged Davis, as a modern Merlin. Later you were way ahead of governments in sounding the alarm about the dangerous nexus of global risks linking food insecurity, water insecurity, energy insecurity and climate insecurity. In Shell you quickly grasped the growing importance of cities, and the expanding cohort of newly affluent citizens, as a global shaping force. This is now orthodoxy. But Dave Sands and his team at Shell were onto it more than a decade ago. Stronger even than the tug of reality and of the future, one instinct has long defined your industry. Often in politics the first reaction to a new challenge is to ignore it and hope it will go away. There are enough problems. If it won’t go away, the second reaction is to delay. If you can push it into tomorrow, it might yet go away and anyway, in politics, tomorrow never comes. At your best you do not ignore or delay. You look for a response that turns challenge into opportunity. Drilling in extreme conditions; converting gas into liquids for shipment around the world; capturing and sequestering carbon dioxide – whenever you have bumped into a frontier, especially a frontier of engineering, your urge has been to break through it. You accept, grudgingly, the constraints imposed by the laws of thermodynamics. But within them no challenge has hitherto been too daunting. Now you are being asked to play your part in the response to climate change, the biggest challenge your industry has ever faced. Surely, you might reasonably think to yourselves, we should acknowledge in return your role in bringing within our reach the fruits of modernity. Those fruits have turned out not to be as sweet as they seemed. But it was we who desired them. You never had to force them upon us. 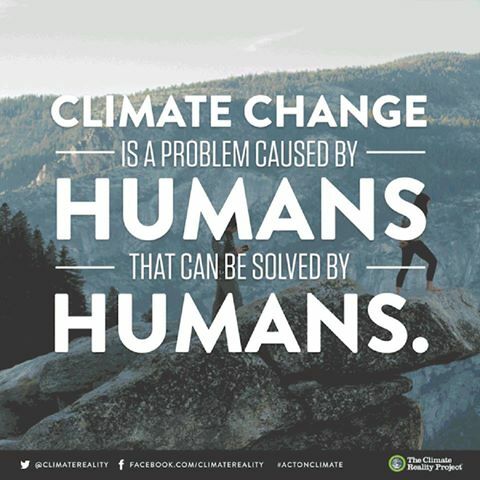 It is in truth not your fault that climate change is a hard problem. Though your industry must bear some responsibility for our failure so far to face it, that is not exclusively your fault either. But the choices of your generation of CEOs will be decisive, not only for you as corporations but for the eventual success or failure of our response to climate change. That is why you will be held relentlessly to account for those choices; why what you said last month invites forensic scrutiny. Every speech tells a story. And beneath the story on the surface there is always another, told more subtly, about the compulsions, desires and anxieties that animate the first. Only if each story is true to the other; and only if each is rooted in an experience of the world shared between speaker and audience; only then will the speech truly be heard. Not one story but three. The story of the mask you show, the story of your face beneath it, the story of the world. The story of your mask last month was clear. You accept the “moral obligation” to respond to climate change, including for your industry. COP21 will be crucial. The stakes here in Paris will be high. But meanwhile, there is a march of progress. As we stride forward, a golden thread of growth links the size of the economy, demand for energy, and demand for oil and gas. This should continue indefinitely. Yours will remain “an industry that truly powers economies”, as “the world’s energy needs will underpin the use of fossil fuels for decades to come”. You do not, it appears, see climate change as a threat to the steady march. But you fear we might be overzealous. Excessive concern for the climate might lead us to break the golden thread by constraining the combustion of your products. This too is a question of morality. It is as you see it in conflict with the question posed by climate change itself. How, you ask, can we “balance one moral obligation, energy access…. against the other: fighting climate change”. Your response is that we should ease off on climate. We can have a transition but it cannot The aim, in any meaningful timeframe, should not be an energy system that is carbon neutral nor even low carbon. Instead we must settle for “lower-carbon”, whatever that means, to allow us the “higher energy” that “makes the difference between poverty and prosperity”. And so the story of your mask leads inexorably to the conclusion that no choice is needed after all. Only one approach is morally and economically available. It is not transformational. It proceeds by very small steps. And as for fossil fuels, “rather than ruling them out, the focus should remain on lowering their… emissions”. You have no compunction in immediately excluding coal, the product of a rival industry, from this endeavour. But that is to accommodate a shift to gas, not faster deployment of renewables (which would divert investment from gas); still less energy efficiency, which you do not mention at all. You urge the adoption of carbon capture and storage, which Shell has, yes, pioneered. But you offer no proposal to overcome the main obstacle, the extra costs it imposes. There is no engineering reason why dozens of large CCS installations should not already be running across Europe. I helped negotiate the New Entrant Reserve financing mechanism in 2008, working with many others including your colleague Graeme Sweeney. We thought then that we had broken through on financing. Instead: still no plants. Your Peterhead project could be first. But with no compact to share additional costs between taxpayers, consumers and shareholders, CCS at scale remains empty talk. You call for “a well-executed carbon pricing system”. Leaving aside the poor execution of the European Emissions Trading Scheme, a carbon price can only ever drive change at the margin. And it will not do that as well in real life, with all its uncertainty about forward prices and conflicting price signals, as it will in a well-behaved model. It is now widely understood, except by those who live inside such models, that a climate response based primarily on a carbon price will deliver only marginal change. Politically it serves as a brake on ambition not a stimulus, especially when accompanied by an aversion, also evident in your speech, to hard caps on emissions. That is the story of your mask: a manifesto for the oil and gas status quo, justified by the unsupported claim that the economic and moral cost of departing from it would exceed the benefit in climate change avoided. Beneath the mask is the face. Its story is encoded in language and tone, and it does not match the mask. You reject “stereotypes that fail to see the benefits our industry brings to the world”. But you resort freely to stereotypes yourself, to attack those who want more ambition. You and those who agree with you have a monopoly on realism and practicality. You are “balanced” and “informed”.Your enemies are “naïve” and “short sighted”. And you accuse them of wanting “a sudden death of fossil fuels”. No phrase in your speech is more revealing. Nobody is asking for this and if they were they would be wasting their time. But the Freudian intensity of your complaint flashes from the text like a bolt of lightning. Moreover, although you acknowledge doubts about the credibility of your industry, you don’t address them. You speak, as it were, peering down, with authority and detachment, at a world that should self-evidently look the same to others as it does to you. And from that height, you seem to be want us to believe that the issue is not how to deal with climate change but how to do so without touching your business model. For a leader in the oil and gas industry to call for continued dependence on oil and gas will sound to most like special pleading. Unless you acknowledge this, what you say won’t be truly heard. Narcissus gazed into the pool and was dazzled by his own reflection. Climate change is a mirror in which we will all come to see the best and the worst of ourselves. In that mirror you seem to see the energy system you have done so much to build and to find it so intoxicating that you cannot contemplate the need now to build a different one. There is a touch of narcissism in the story of your face. The paranoiac fears conspiracies that do not exist. You fear a non-existent conspiracy to bring about your sudden death. The psychopath displays inflated self-appraisal, lack of empathy, and a tendency to squash those who block the way. All these traits can be found in your text. There is a touch of psychopathy in the story of your face. I am sure you are not yourself narcissistic, paranoid, and psychopathic. But yours is part of a collective voice, and those attributes colour that voice. The story of the mask and the story of the face behind the mask. The one, a picture of reason. The other in the grip of all too human emotions. They are not at peace with each other. Nor with the world. The story of the world is as old as antiquity. It is the story of the writing on the wall. The warning to the last King of Babylon at his last great feast that he has been weighed in the balance, as it is written in the Book of Daniel. The high carbon, resource-profligate modernity you helped build is a new Babylon. Every bite from its fruit poisons the tree from which we pluck it. King Belshazzar of Babylon plundered goblets of gold from the Temple of Solomon. We take our plunder from an ecological fabric we no longer recognize as our first Temple. But if it crumbles we die both in body and in spirit. Climate change is the writing on our wall. If we heed it we can repair our Temple and avoid the fate of Babylon. If we don’t, we, too, fall. You know this. If you didn’t, your exploration of the nexus must have shown you. Governments have obligated themselves to do whatever it takes to keep climate change within 2°C. I once heard an industry peer of yours dismiss this. Politicians, he said, had promised it cynically to keep NGOs off their backs. But there was no will to act on it. At the table was one of your own predecessors, who did not demur. The 2°C obligation is not going to go away. It will be reasserted at COP21, which should now also state clearly that this means carbon neutral energy by mid century. 2°C was not a casual reaction to civil society impossibilism. It was a political judgement, informed by science, about the threshold beyond which climate insecurity is likely to become unmanageable. The commitments made at COP21 may still fall short of a 2°C response. But the forces now at work will act inexorably to push up not rein back our ambition. Your strategy seems to be to try to hold the line until the door finally closes on 2°C. But governments cannot walk away from their obligation. They would have to explain what had changed to justify doing so. Everything we have subsequently discovered invites more urgency not less. The real threat to prosperity lies in too little ambition not too much. The only means we have to make choices in the public interest across society is politics. We are now entering a period of politics that is non-linear, politics whose outcomes will, from the old frame of reference, your frame of reference, be harder to predict. You are not skilled in navigating non-linear politics. There is no feel for politics in the Shell Scenarios. That didn’t matter when politics were linear but it does now. Non-linear politics will welcome new voices. Cities. Communities. Young people. Women. Consumers. Policy takers will become policy shapers. Their voices will act like a ratchet, driving up ambition on climate. Businesses exposed to climate risk will demand more ambition. Businesses delivering carbon neutral energy will demand more ambition. Businesses not locked into fossil energy supply chains will want to end up on the winning side and will welcome more ambition. Businesses holding out for less ambition will no longer be able to take cover in a big tent, no longer be able to pretend to be part of the solution when their choices belie this. They will have nowhere to hide. The low carbon economy is starting to take shape and it works. Germany has embarked on an irreversible restructuring of an electricity system that will be powered largely by renewables. You have misread this. You point to generous subsidies for renewables in Germany. But these are the legitimate product of political consent. You point to baseload coal. But, strangely for an engineer, you fail to note that this is transient noise in a structural transition whose signal is the rise of renewables. You deny your assets will be stranded. True, first tier assets are cheap, and those that are heavily invested in tend to bear fruit quickly. But your case also assumes failure on 2°C and rates of renewables deployment long surpassed by reality. The Bank of England is watching the carbon bubble. Bloomberg screens include a carbon risk valuation tool. The divestment movement may still be small but it is rallying young people, has moral authority, and can now make a prudential case as well as an environmental one. Writing on the wall. Story of the world. A friend of mine, who rose high in another energy company, told me of the remorse that overtook him when he retired at having lived a lie on climate. Clean energy startups in the US are full of refugees from fossil energy. On’s best staff clamour to join its renewables business when the company splits. Few want to keep making legacy power from coal and gas. I wonder if people inside Shell feel the pull of the same forces. They find themselves in an industry squeezed in a three way vice. Investors and regulators will increasingly want to derisk unburnable carbon and future climate policy. New resources cost ever more to bring to market, in dollars and reputation. Regardless of the oil price now, its volatility will make new investments more of a gamble. Is this industry still as inspiring to your younger colleagues as it was when you entered it? Everybody except the real psychopath wants to feel part of the common good. Your company is full of good people. But good people can make bad choices in an institution clinging to a bad idea. Your own position is unenviable. A gap has opened between wealth (which is high carbon) and value (which is low carbon). Non-linear politics is the response of the people, your customers, to that gap. For a while the gap was narrow enough to straddle. But no longer. You cannot choose wealth and You cannot choose to transform and to struggle against transformation. You cannot choose high carbon and low carbon. Now you must pick a side and accept the consequences. Choose wealth and you could stay, for a while, in your comfort zone, clinging to an old business model. Even in the three way vice it will remain viable for some time. Demand for your products will grow before it falls. While this goes on you could keep trying to rein back ambition on climate. Your industry, acting strategically together as a political brake, probably can hold out until 2°C becomes an impossibility of engineering and thermodynamics. But it can’t do that without being weighed in the balance, perhaps on your watch. Confidence would drip away. Talented young staff would drift away. Respectability, already tarnished, would drain away. Drip. Drift. Drain. Or you could choose value. You could accept squarely that your E.On moment has come, that the days of yesterday’s business model are numbered, that the challenge now is to manage its decline and build alongside it a new business fit for today, albeit that this is harder for an oil and gas company than it is for a utility. You would be accused by some of tribal betrayal and commercial lunacy. You really would be lifting the lid on carbon risk. Your share price would suffer, at least in the short term. But you would be buying the chance to renew your business by design, not by default in response to shocks. There would be no need for a mask. The face could look the world in the eye and see itself reflected back. I do not know what the new business model looks like. You won’t begin to know yourselves until you accept that as an instrument of the common good the old one is already dead. But I do know what the world needs to see if it is to accept your company as part of the solution and no longer part of problem. Talk to us about how you will play your part in a 2°C transition. Tell us the inspirational story of that transition, backed by your knowledge and experience. The electrification of vehicles and heating; the decarbonization of electricity; new frontiers in efficiency. A new golden age of energy. And don’t tell us through crocodile tears that this will all take a long time. Tell us what you will do to hasten it, and what you need from government to do it faster. Come clean on your 2°C carbon risk, and get out of investments that would increase it. Stop pretending that gas is part of the answer to climate change, rather than a necessary stage in a transition to be kept as short as possible. Stop pretending that gas will always crowd out coal rather than renewables, that it won’t blur the political focus we need on efficiency. Urge your peers to turn their backs on new fracking around the world, as you wisely have in the UK. It’s a high carbon sugar rush and a recipe for political grief. Look at the news from Algeria. Stop grumbling about renewables. Unlock the opportunities they offer. Manage a retreat from the carbon frontiers, especially the Arctic. Keep it in the ground. Press the accelerator on CCS. Use your balance sheet to lever governments into a deal on costs. It’s easier for an outsider to say what you should stop doing than what you should start. But the more you turn towards a 2°C world, the more you will see its opportunities. I am urging you to sail into a storm. But you are at your best in storms and the one that will hit you anyway if you delay will be more lethal. In Shell the spectre of Brent Spar hangs over the subject of political risk. Or if it doesn’t it should. The Risorgimento broke like a wave over Sicily in the middle of the 19th It threatened to sweep away the privileges of an inward looking aristocracy convinced that their glory days would never end. Wear a mask for change while setting your face against it. It’s a clever ploy and if the stresses aren’t too great – if politics is linear – it can even work. But when the stresses are existential, it only buys false security. Those who follow the Tancredi strategy get swept away anyway. You are now in Tancredi’s position. You gave a speech last month that was worldly. Will you now lead your company and your industry towards a choice that is wise?